As a newcomer, you could find SEO strategy intimidating. You need to be familiar with the search engine algorithms but you could find the mechanics magical in complexity. 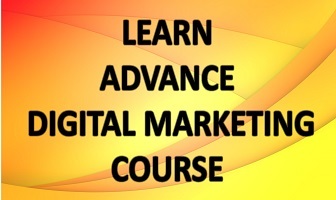 There are thousands of variables to learn as they can affect search ranking of website. But learning these variables could be too much for a person to learn. While learning SEO fundamentals could take years, it is possible to learn the core building blocks of SEO quickly. There are seven basic fundamentals of SEO that can be learned within an hour. 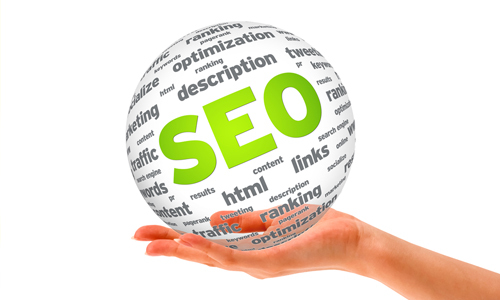 It is important even if you are an SEO expert. These fundamentals can be taught to newcomers in an hour and the basic knowledge of SEO can help you in training juniors especially when you need helping hands to share your workload. A blog is a foundation stone for building a SEO campaign; it is a way to optimize more keywords, be an authority with informative content and an opportunity to attract back-links from other sources. It won’t take much time to start a blog. Neil Patel has made a guideline for making a blog in less than an hour. Learning basics like identifying target audiences, setting up template and making your first posts shouldn’t take much time. Keyword research still matters even after the Hummingbird update that replaced changed Google’s keyword identification process with semantic search system. It is only with keywords targeting that you can outrank your competitors on relevant searches. Keywords are selected on relevance, volume and competition ranking and one shouldn’t take much time in understanding the basics of keyword research. Technically speaking, it is learning to navigate tools like SEMrush’s Keyword Magic free tool or Moz’s Keyword Explorer. Also you can’t be accurate in your search for first time but never worry as there is always space for improvement. Authority of a website is its relative and qualitative score of trustworthiness. It is calculated at domain and page level. Importance of this score is that it determines page ranks on relative queries hence higher the score is the better. The score can be improved with the help of quality back-links and content. How to build a back-link? Authority score is the key to high ranking and the way to improve authority is to build back-links. Learning to build back-links is easy but you should be aware of the pitfalls like link schemes and variables like contextual appropriateness of links and anchor text. The most important thing to understand is that most strategies turn out to be successful guest posting strategies. Social media optimization is important as it indirectly affects the website ranking. It is a platform for audience building; one where you can distribute the best content to public. It increases visibility in the long run. If the content is interesting, it will build your reputation and also there is an opportunity to get more back links through test postings. Measuring traffic is a hassle free job with the help of user friendly tools like Google Analytics and it won’t take you more than an hour on learning to measure traffic with the help of a tool. It can help in help in monitoring SEO strategy by providing data on organic visitors, referral traffic, social media visitors and direct traffic. No SEO strategy is perfect hence there has to be room for making adjustments and improvements. There are some basic signs and signals that show whether you are going in right direction or the strategy needs some changes. It isn’t possible to learn everything at the beginning but you can understand the indicators like evaluating performance of blog posts for determining value of your SEO strategy. In addition to these basics, there are some more fundamentals that you need understanding but these fundamentals alone can’t help in building and running a SEO campaign. What will you do, if your keyword ranking drops abruptly? How to strengthen the content engagement rate and what to do when you hit a roadblock? These are some of the SEO puzzles that you will solve on getting more education and gaining experience. But you can build a strong SEO strategy and also improve your site ranking with the help of your knowledge on building blocks of SEO. Learning basics of SEO isn’t a time consuming job and also it isn’t too technical to understand. Anyone can go through the basics within a half an hour and improve his grip on the complex search marketing process called SEO.